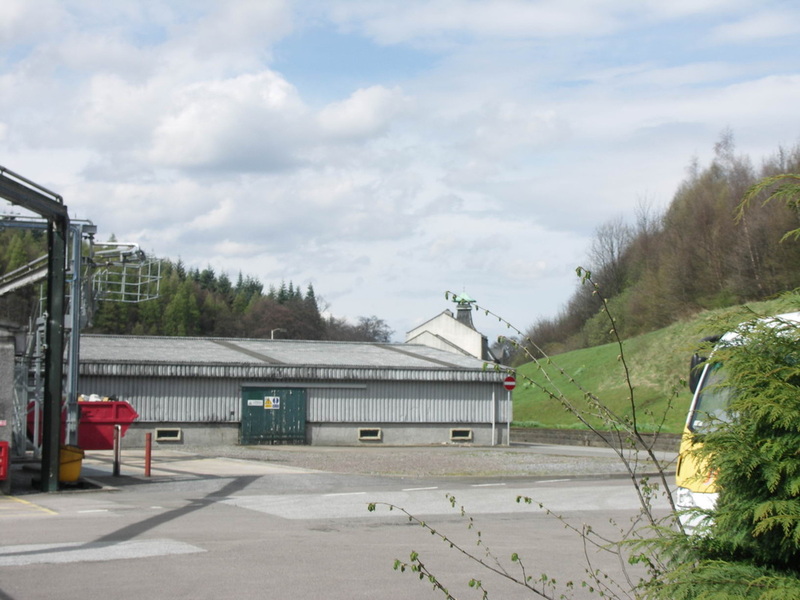 Glendullan is not normally open to the public, but I was able to tour it as part of the 7 Stills Tour during the Spirit of Speyside Festival in 2008. Unfortunately, it was still not possible to take any pictures inside the distillery. 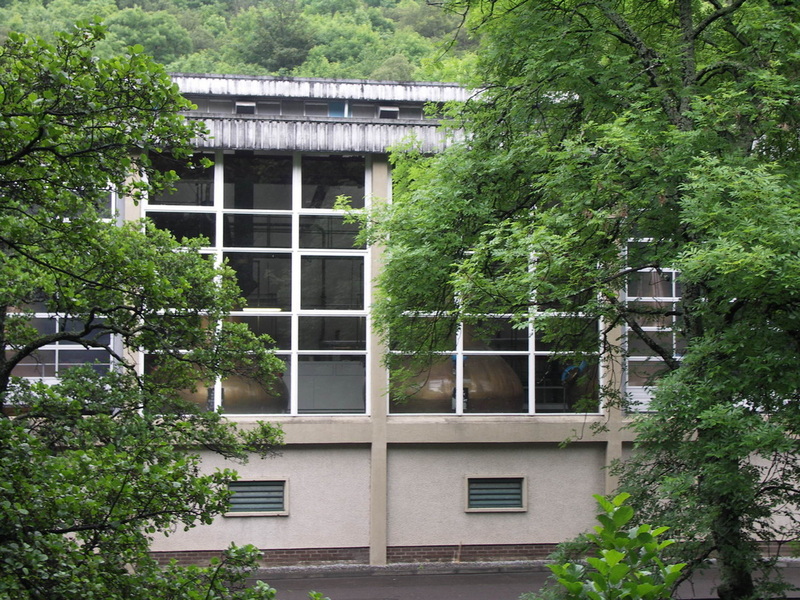 Glendullan Distillery is on the banks of the River Fiddich on the B9014, which by-passes Dufftown. 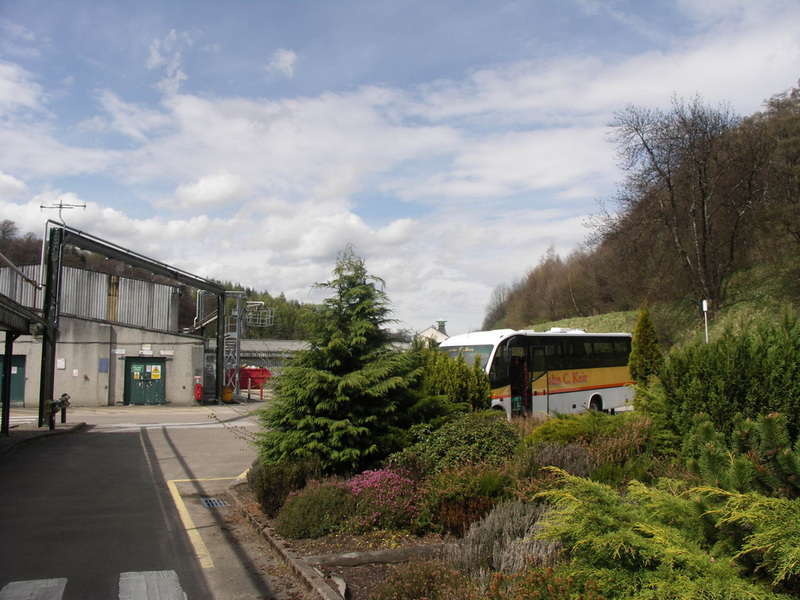 The Dullan Water which gives the distillery its name flows into the Fiddich a few hundred yards from the distillery just by the junction of the A941 and B9014. Like Clynelish, Glendullan was rebuilt and expanded during the Whisky boom of the 60s and 70s, and also like Clynelish the old and new distilleries worked side by side for a few years. 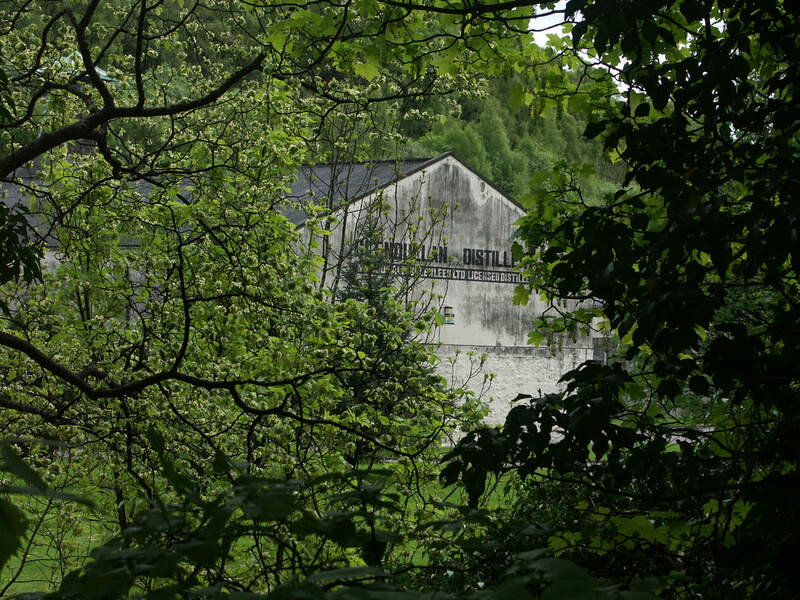 Unlike Clynelish the output of the two distilleries was blended together, but ultimately the old distilleries on both sites shared the same fate - closure. Nearest National Rail stations are Elgin (ELG) (14 miles), Keith (KEH) (10) or Huntly (HNT) (13). Live train times: ELG, KEH, HNT. The preserved Keith & Dufftown railway runs up to 3 trips a day at weekends in summer and some Fridays too - also during Speyside Festivals. Glendullan 12yo (43%) has been part of Diageo's Flora and Fauna range for some years. More recently a Singleton of Glendullan has been released for the American marker, but you may find the odd bottle this side of the Atlantic. Some older Rare Malts bottles can be found - for a price. Photos on this page were taken by me. Click on photo to enlarge. 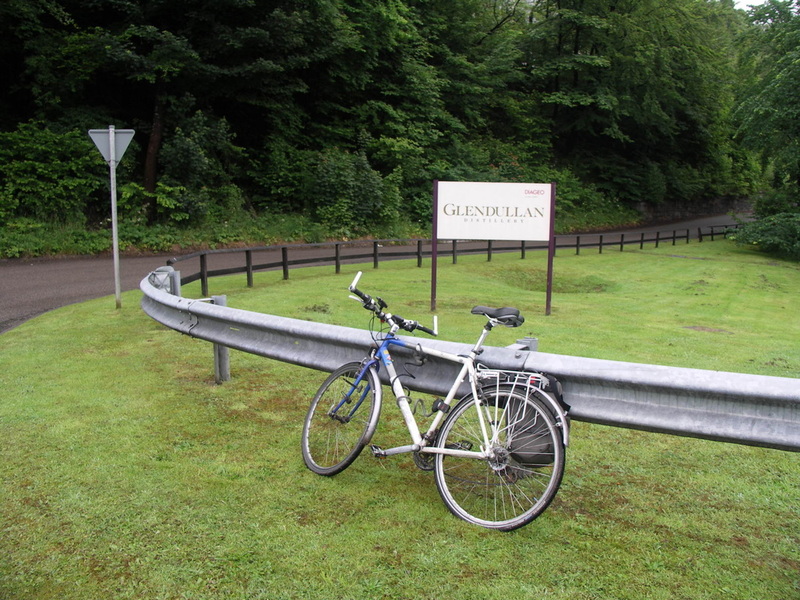 Full size versions of all my photos of Glendullan Distillery are available on Flickr.